Reading, MA – It’s that time of year again! With colder months approaching, now is the time to think of those who may need help keeping warm this winter. RCB is holding its annual blanket drive, now through November 17th, to support Mission of Deeds of Reading. Mission of Deeds is looking for new or gently used blankets for twin, full, and queen-sized beds, with the highest need for twin-sized blankets. Blankets may be dropped off at any RCB branch. RCB’s goal is to collect 200 blankets, and to get things started, the Reading Cooperative Charitable Foundation has donated the first 50 blankets. “Winter months can be hard for everyone, but especially for those who lack basic necessities for warmth and comfort. 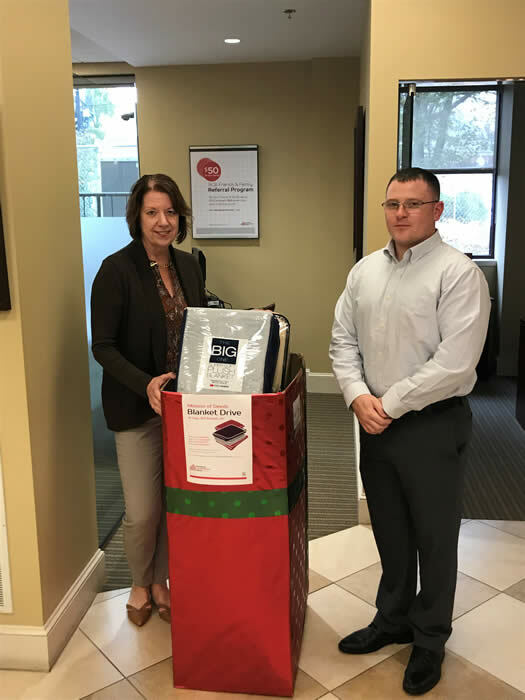 This drive provides the perfect opportunity to have a tangible impact in our communities,” said Sandy Convery, Vice President and Branch Manager of the Reading Branch. Mission of Deeds is an approved 501(c)(3) organization dedicated to providing families in Middlesex and Essex counties with necessary household items free of charge. For more information, visit http://www.missionofdeeds.org/.